When you’ve spent money on something that has not delivered the expected service, the first thought that goes through the most people’s mind is: “I want my money back!”. If you’ve not received what was anticipated when you put your hard-earned money towards something, it’s natural to expect compensation – but what is compensation? And when can you claim for it? Compensation is defined as “something given or received as an equivalent for services”. For example, compensation could be an item you buy, or the amount of money you receive for selling something. However, today when referring to compensation people usually mean money you claim back from an organisation for a failure to deliver a service or product as required/described. When it comes to Timeshare compensation claims, every claim is different and will depend on the case of the individual. Typically, clients will be eligible for compensation if they have purchased their Timeshare through a loan, if they have purchased a fractional membership or if they used a credit card. In circumstances where a loan was used, under Section 75 of the Consumer Credit Act 1974, the finance company can be held jointly and severable liable for any breach of contract or misrepresentation, meaning that an appeal can be made to the finance or credit card company requesting all monies be refunded for the purchase of the Timeshare. If the circumstance arises that the finance or credit card company does not provide a satisfactory response within eight weeks, the case can be escalated to the Financial Ombudsman. When it comes to Timeshare compensation claims, Sarah Waddington Solicitors offers this as a separate case to Timeshare relinquishment on a no-win-no-fee basis. 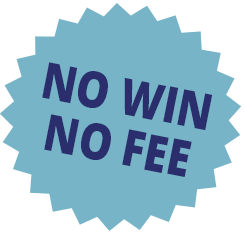 A no-win-no-fee agreement, also known as a contingency or conditional fee agreement (CFA), is an arrangement between the client and the Solicitor that ensures you don’t have to worry about paying upfront legal fees. Simply put, if the case doesn’t win, you don’t have to pay. *Compensation is awarded in the Euro amount set out by EC Regulation 261/2004 and will be paid out in GBP equivalent. This is usually based on the exchange rate on the date we receive the compensation from the airline. Holiday sickness claims, unlike flight delay compensation, work similarly to Timeshare compensation claims. Each case is handled on an individual basis (even when more than one member of a party is struck down with the same illness), every individual element impacting on a case will be taken into consideration, including any aftermath costs, and long-term effects of the illness. All of these contributing factors will amount to the total you are owed in compensation. As a guide, you could be owed anything from £400 to £40,000! If you have any questions about Compensation, please feel free to give us a call. We would be happy to help! You can email us at [email protected] or call us on 01924 675 039. Home » What Is Compensation?